I’m very proud to announce the release of this recent print. This will mark my forth official multi color screen-print in my career, and one if my finest. 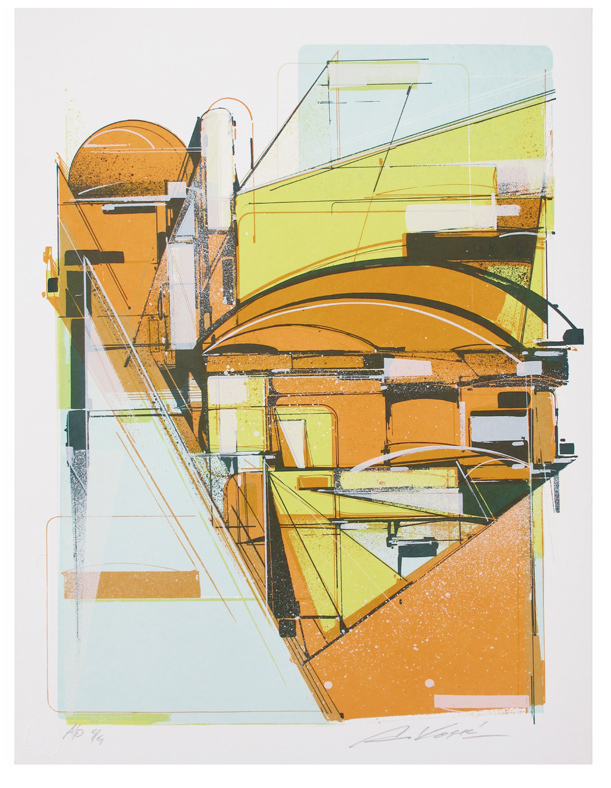 “Study of A Manifest Horizon“ is a 5 color, hand pulled, screen print on Coventry Rag 320gsm archival paper with hand-torn deckled edges at 18 x 24 inches (Standard frame size). 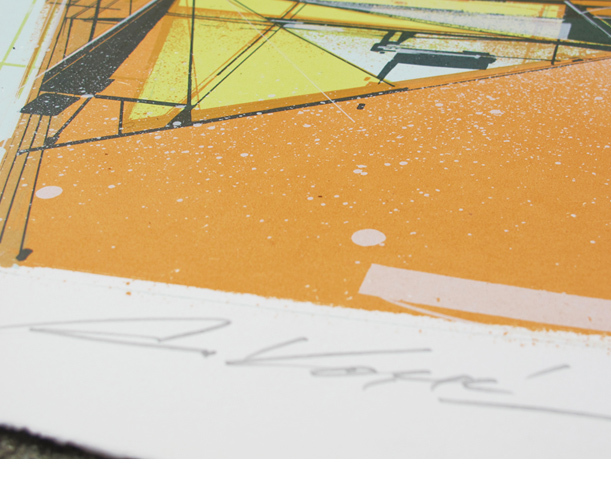 Each print is signed and numbered by the artist on the front with certificate of Authenticity included. What makes this a unique print is that each transparency was painted by hand with opaque inks, markers and spray paint, making the final print as painterly and illustrated as a true hand could. 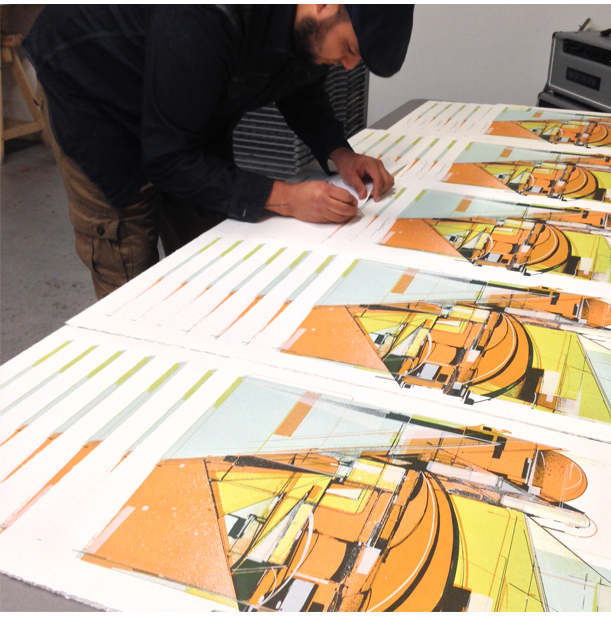 Completely hand pulled by Ryan McIntosh of Intellectual Property Prints. This edition of 50 has sold out.